It's that time again!! Time for peeks of all of the new products that are coming to Taylored Expressions on Thursday, June 6th!! This release is packed with summery goodness! 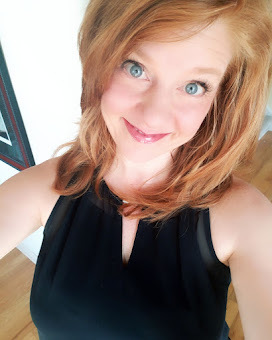 Today I have two projects to share with you. 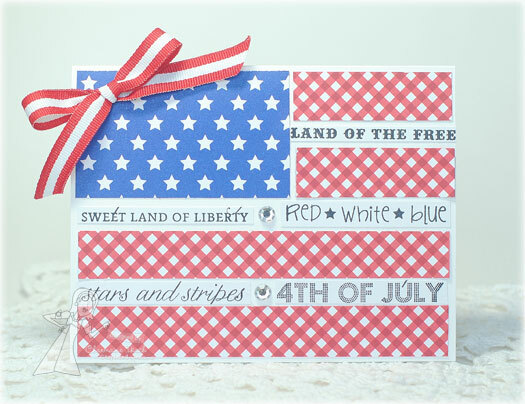 The first uses the Graphic Greetings Patriotic set. I decided to stamp and cut apart the sentiments for this project. I used the new Patriotic Project Pantry and created a flag with the patterned paper. In the spaces for the white stripes, I added the cut apart sentiments from Graphic Greetings Patriotic. To finish the card off, I added a little bow using some of the ribbon that comes in the Project Pantry. My second project uses the NEW Beach Border Die. The Beach Border Die is a fun die that can make a card in minutes, or you can spend a little more time like I did. :) I decided I wanted to "paper piece" my die cut so I die cut the border out of several cardstock and cut pieces to glue over top of a brown base. The rest of the Baker's Dozen has lots more to show you using these are other new products!! 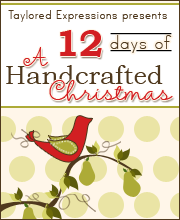 Be sure to visit each of their blogs for a peek!! Thanks for stopping by today and have a wonderful day! I'll be back tomorrow with more so please stop back!! These are so fun Charmaine! I love the way you used the GG stamp in between the flag stripes... that's a brilliant idea! 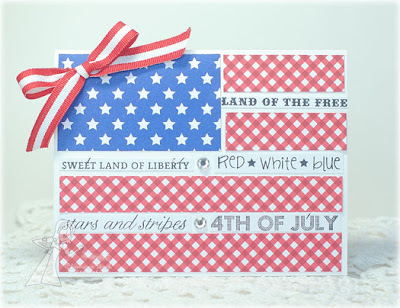 How clever to make the flag cards and using the GG stamp between the stripes was such a genius idea!!! Love your beachy scene with the cool looking background, too!!! 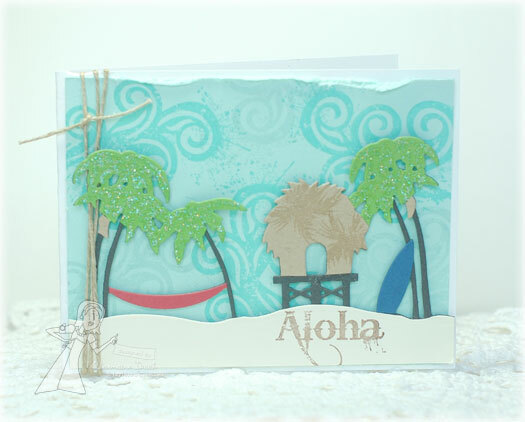 Hey, Charmaine, I'm loving how you used GG for your first card, so sweet with the bow! 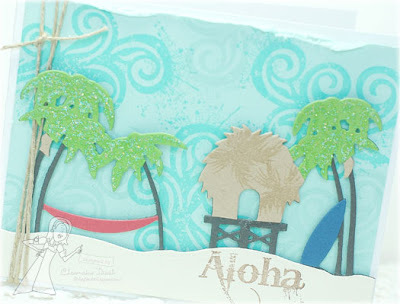 Your beach border scene is so pretty, will have to keep this in mind, love it! Wonderful cards, Charmaine! Love your flag card and how you used strips of the GG stamp! And your pieced beach border is so cool! AWESOME! 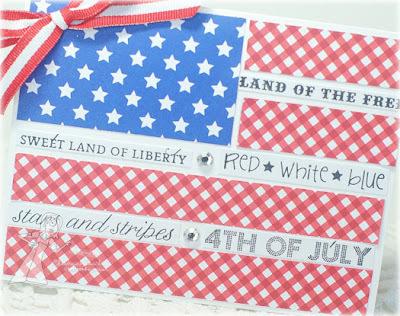 I adore how you made the stripes out of gingham and put the words in between - such a cool idea! Love what you did with the border die. FUN times!! Your flag card is so clever! And I love that you pieced the beach scene - that opens a whole new world of possibilites!